Mandya: Lohith Kumar, 18, a student at Government First Grade College of Krishnarajanagara in Mysuru district, remembers the day six years ago when political workers from a particular party came home and made a slew of promises to improve the constituency ahead of the 2013 Assembly elections. Kumar remembers the workers gave a long list to his father, Karimadaiah, 52, a farmer. “I read the list for my father. One of the issues for which my family voted was that the party promised to initiate immediate measures to revive the Chunchankatte mill (Srirama cooperative sugar mill),” said Kumar, adding that the revival of the sugar mill six years after its closure is a prominent “issue” that could drive votes in the region. Krishnarajanagara falls under Mandya Lok Sabha constituency, which includes eight Assembly segments from both Mandya and Mysuru districts (viz Melukote, Krishnarajpet, Krishnarajanagara, Mandya, Malavalli, Srirangapatna, Maddur, Nagamangala). In this politically charged region, which is also the ‘sugar bowl of Karnataka’, a lot depends on how convincing the politicians’ promises about reviving the struggling sugar industry are. Promises made by the Janata Dal (Secular) leaders in the run-up to previous Lok Sabha and Assembly polls will be under scrutiny as not much has changed in the sugar business over the past six years, despite both the Mandya Lok Sabha seat and the Assembly constituency under JD(S) leadership. The Srirama cooperative sugar mill at Chunchankatte in Krishnarajanagara is in shambles. “Machinery at the mill is catching rust owing to lack of supervision since 2012,” said CK Raveendra taluk unit president of Karnataka State Sugarcane Growers Association, adding that closure of sugar mill destabilised sugarcane cultivation activities in the region, pushing the dependent farming community into a deep financial crisis. 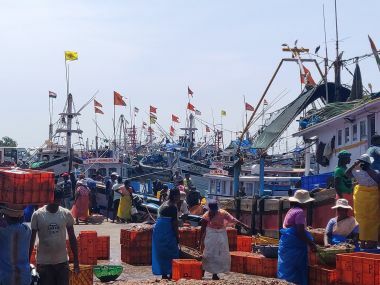 Mandya Lok Sabha constituency has 16.90 lakh voters, of which around 85 percent are farmers, according to the figures with Mandya Zilla Panchayat. According to rough estimates from the agriculture and horticulture department, it can be said that the majority of the electorate in Mandya are linked — directly or indirectly — with sugar mills in the region. Initiating measures to revive the government-owned Mysugar and other cooperative mills and clearing dues were major poll promises made by political parties during 2013, 2014 and 2018 elections. “The assurances have remained confined to paper only and ground situation continues to be grim,” said Latha Shankar, a leader of the Karnataka Rajya Raitha Sangha (KRRS) and the Hasiru Sene in Mandya. The constituency has six sugar mills, including one run by the government and two cooperative sector mills. They are: State government-run Mysore Sugar Company Ltd. (Mysugar) in Mandya, cooperative mills Pandavapura Sahakari Sakkare Kharkhane at Pandavapura and Coromandel Sugars Ltd at Krishnarajpet, apart from privately-owned Chamundeswari Sugars and NSL Sugars Limited (NSL) at Maddur and Srirama Sugar Mill at Krishnarajanagara. While Mysugar is facing severe technical obstacles, both cooperative mills are defunct. 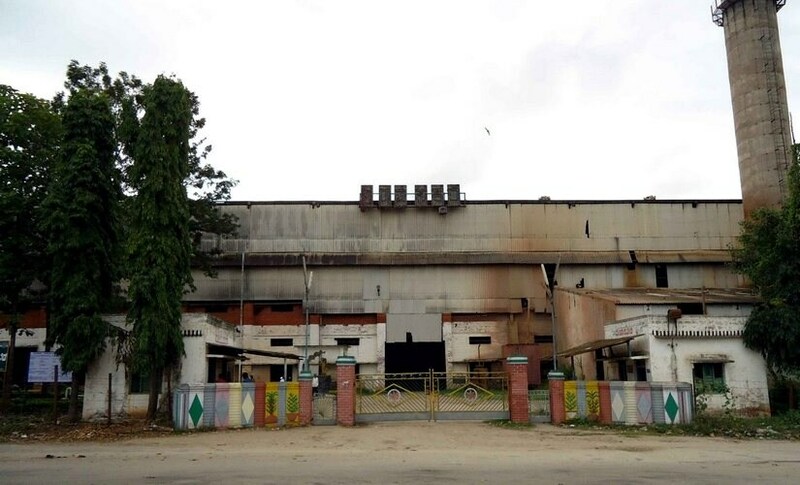 All four operating mills, including the government-run Mysore Sugar Co Ltd (Mysugar), are neck deep in debt. Established in 1934, Mysugar mill is dependent on outdated machinery, which makes it difficult for the management to arrange parts and maintain it. A few days before dates for the Lok Sabha elections were announced, Karnataka chief minister HD Kumaraswamy — whose son Nikhil Gowda contesting from Mandya — hinted at the possibility of his government setting up a new sugar factory in the constituency while also suggesting that Mysugar might be shut down instead of being revived. Kumaraswamy has been quoted by news agencies as saying that government funding of about Rs 400 crore for Mysugar factory over the past 10 years has not helped revive it, while blaming the Centre for mounting sugarcane arrears. In December 2018, management of the decades-old Mysugar mill offered voluntary retirement scheme (VRS) to its employees and suspended sugar production. Over 70 percent of the employees opted for VRS. 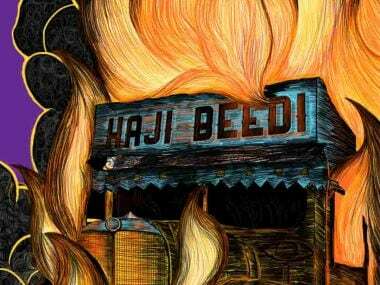 The Mysugar mill — established in 1934 among one of the first sugar mills in Asia — is registered as a “sick unit” with the Board for Industrial and Financial Reconstruction (BIFR). Farmers of 102 villages in Mandya district are dependent on the mill for their livelihood. 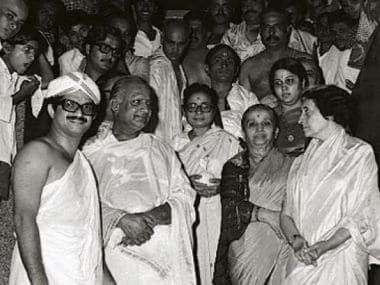 Meanwhile, Bharatiya Janata Party (BJP) member KS Nanjunde Gowda said that if the party candidate wins the Mandya seat, reviving the Pandavapura Sahakari Sakkare Kharkhane (PSSK) would be a “cake walk”. “The machinery at the PSSK is in good working condition. It needs minimal overhaul. The government can run the mill,” he added. Another cooperative sugar factory with crushing capacity of 1,250 tonnes a day, PSSK was established in 1972 to boost the sugarcane cultivation in the region. It suspended operations in 2012 owing to technical difficulties and administrative hurdles. With the election fever rising, the issue of reviving this defunct mill has resurfaced. 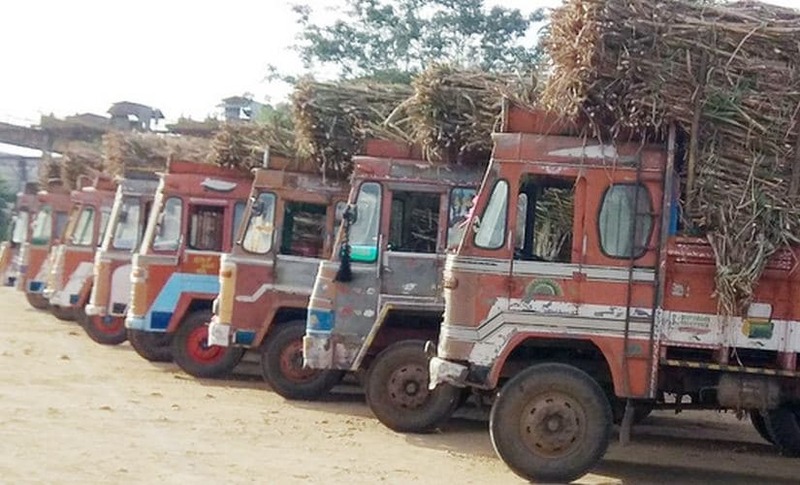 According to documents of the Mandya district administration, the four sugar mills in operation — as on 25 March, 2019 — owe Rs. 148.69 crore to cane suppliers. “Mysugar has to pay Rs 17.25 crore to the dealers. Similarly, Coromandel Sugars Ltd has to clear Rs 12.14 crore, Chamundeswari Sugars has to shell out Rs 57.99 crore and NSL Sugars Limited (NSL) need Rs 61.31 crore to clear the liabilities,” a senior official from the food and civil supplies department, speaking on the condition of anonymity, said. He added that the Karnataka Sugarcane (Regulation of Purchase and Supply) Act 2013, clearly states that the mills must clear the dues of the suppliers within 14 days of the procurement of the cane. The defaulting mills are liable to pay dues at 15 percent interest rate or face punishment. The five sugar factories, according to the official, entered into an agreement with cane growers to crush 26 lakh tonnes of cane during 2018-19. However, these mills could only crush 21.93 lakh tonnes. “We can seize the sugar stocks, auction them and clear the dues of the farmers,” the official said, adding that the present quantum of sugar stocks at the defaulting mills is 14,86,799 quintals. “Notices have been sent to management of these mills to clear dues. Law would take its course if the payments of the suppliers are not cleared,” he said. Stakeholders are not ready to buy the official version. They claim that officials are just buying time by giving “false assurances” to cane growers. “We have been growing sugarcane for 20 years. For the past decade, we have not received payments on time,” said Sunandamma, 55, a widow from Maddur village. She added that many sugarcane farmers like her have been incurring huge financial losses, as they have acquired loans on high-interest rates from different financial institutions for cane cultivation. “Delay in the payment prompted me to postpone the marriage of my daughter by three years,” she added. Her daughter Ramakka was married last year and now lives in Malavalli. 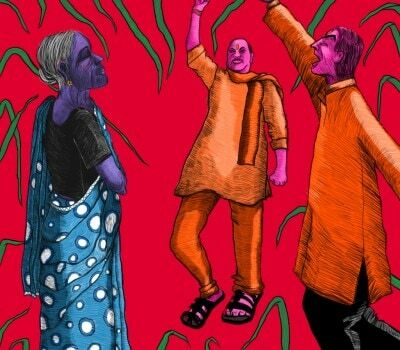 Sunandamma lamented the fact that she had to shift her children from reputed private schools to government schools due to sugar mills withholding her payments. Exasperated over what he calls “lackadaisical attitude” of the mill owners, Shambhunahalli Suresh, president of Mandya District Karnataka Rajya Raitha Sangha, has demanded that the state government amend the Karnataka Sugarcane (Regulation of Purchase and Supply) Act, 2013. “Authorities should impose penalty and imprison owners if they fail to pay us on time,” Sangha said. Suresh accused officials and politicians of “not doing anything” for the development of sugarcane sector in the region. In June 2015, one of the most anguishing stories coming out of Mandya was that of yet another sugarcane farmer killing himself. Ningegowda, a 60-year-old differently-abled cane grower in Ganada Hosuru village of Pandavpura taluk, after going through a stressful period over not being able to sell his crop, set it ablaze while sitting in the middle of it. He died within minutes. While Ningegowda’s dramatic death hogged headlines, not much moved in terms of cane growers getting their dues. Haniyambadi Nagaraj, a farmer leader in the region, claimed that over 150 cane growers in the region ended their lives since 2012 due to increasing debt and crop loss. “But no major steps were initiated by the Centre or the state government to help this ailing sector,” Nagaraj said. According to the department of agriculture, nearly 140 farmers committed suicide during the same period. No studies have been conducted on the issue so far. Lohith Kumar in Krishnarajanagara, while being excited about exercising his franchise for the first time on 18 April (when Mandya goes to polls), also sounds pessimistic. Electing anyone has not helped the battered sugarcane industry in recent years and farmers continue to suffer, he said. “Till date, nothing has been done to make the factory (Srirama cooperative sugar mill) functional again, but hopes of farmers are still alive,” he added.